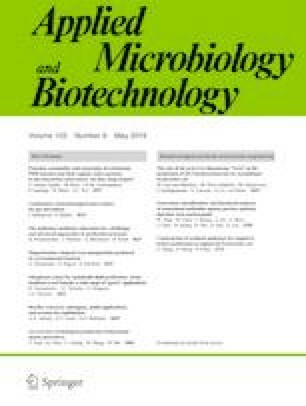 Rhodococcus erythropolis N9T-4, which is an extremely oligotrophic bacterium, can survive in a completely inorganic medium with no additional carbon source. This bacterium utilizes atmospheric CO2, but does not require any additional energy source such as light and hydrogen gas, required by autotrophic microorganisms. However, its CO2 fixation and energy-acquisition systems in the oligotrophic growth remain unrevealed. We expected N9T-4 to have the transporter(s) that imports essential compound(s) for its oligotrophic growth. Three putative ATP-binding cassette (ABC) transporters were found to be highly upregulated under oligotrophic conditions. We constructed the gene-deletion mutants of a gene encoding the substrate-binding protein for each ABC transporter (∆sbp1, ∆sbp2, and ∆sbp3). Among these mutants, ∆sbp1 showed growth defects on oligotrophic medium without carbon source. We examined the growth of the mutants on the oligotrophic medium containing 1% trehalose as a sole carbon source. The results exhibited worse growth of ∆sbp3 than that of the control strain (∆ligD), whereas intracellular trehalose content of all mutants decreased compared with that of ∆ligD. It was reported that trehalose functions as the mycolate carrier to the arabinogalactan layer in the cell wall of Mycobacterium tuberculosis. Transmission electron microscopic analysis of ∆sbp1 cells showed that an outermost envelope of the ∆sbp1 cell diminished, which was expected to be mycolate layer. From these results, we suggest that the same trehalose-recycling system as that in a Mycobacterium cell functions in the oligotrophic growth of N9T-4, and the ABC transporter comprising Sbp1 as the substrate-binding protein is strongly involved in the oligotrophic growth of N9T-4. The authors thank Ms. Kanae Koike, Electron microscopy Service, Center for Gene Science, Hiroshima University, for her technical support for TEM analysis. This work was supported by JSPS KAKENHI Grant Number JP16H04897.